Want to find a quick way to delete all the messages on your iPhone? Here's an article about how to clear all the messages on your iPhone. Download PhoneClean Now and let it make your phone clean and run faster before reading this how to clear all messages on iPhone guide. Text is a great way of communication that has shortened the distance between the one we love or care and us. Lots of people just keep texting no matter they are eating, shopping, or watching movies. Yes, people are texting at any time and everywhere! Messages accumulate as time goes by, especially for those who text a lot regularly. Everyone has to delete messages, for you may hate certain messages or you have to empty the stuffed message box for a clean look. However, for an iPhone user, it is not easy to delete dozens of messages, for there's no swipe-and-delete-all option on your iPhone. On an iPhone, you have to tap on the edit button then slide the red button from horizontal to vertical and then there appears the delete button, until now, only one message has been deleted. Imagine you've got hundreds of messages to delete, how long it will take! You are unwilling to delete them one by one, are you? An iPhone with PhoneClean will efficiently delete the messages you want fast quickly. 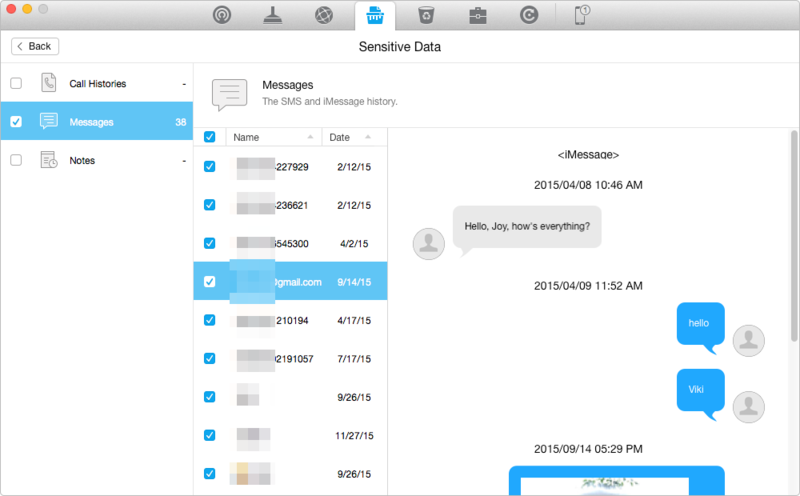 It allows you to delete all the messages in one click. Step 1. Connect your iPhone to the computer and run PhoneClean. 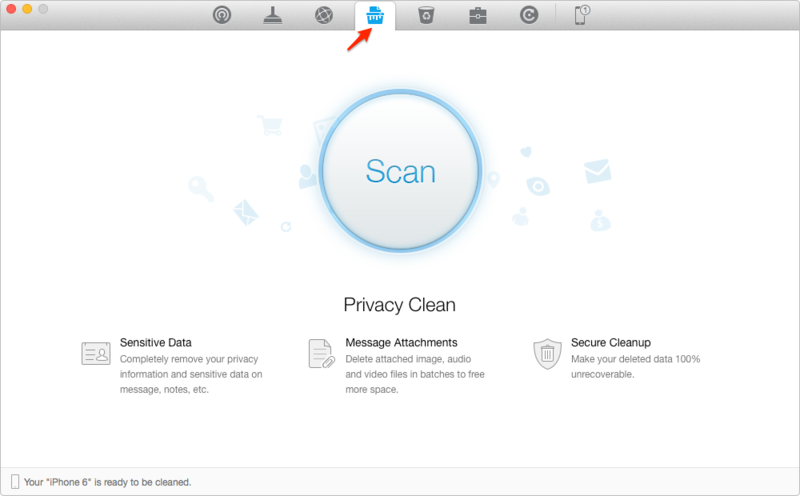 Select Privacy Clean, and start scan. Step 2. After is scan is over, double click Sensitive Data to view the messages on your iPhone. 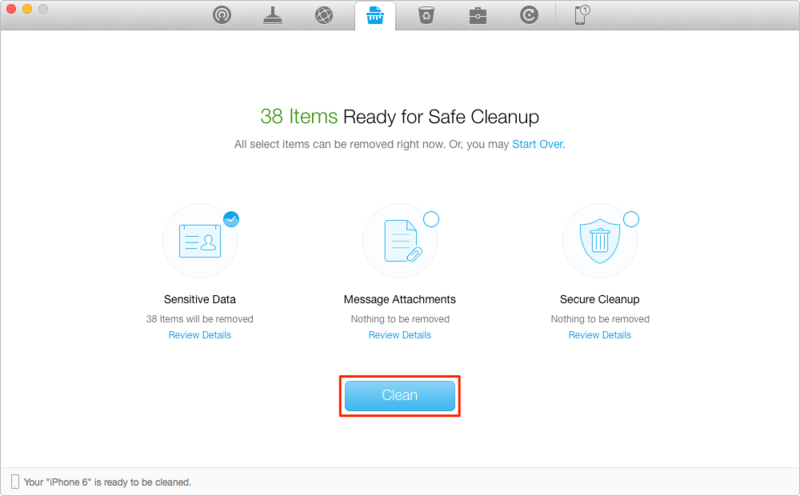 Select the chats you want to remove, and back to the result page of Privacy Clean. Your feedback and sharing of this article will definitely encourage us to present more useful guide to make your daily life easier.